I used to love watching him on In Living Color when Joy and I were living in North Carolina and the kids hadn’t arrived on the scene yet. 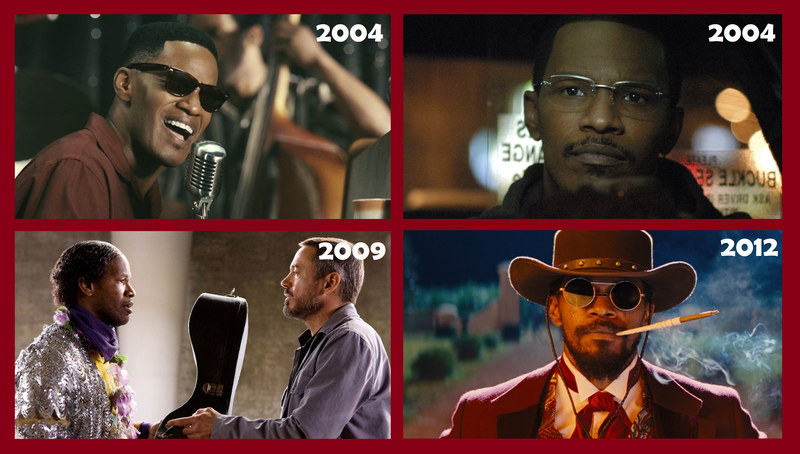 Since that time I’ve grown to love Foxx’s movie performances, including his work in this week’s four nominees. Which of them would be your favoured movie of the week? SEAGAL LEARNS A LESSON. In the martial arts world of the 80’s, Steven Seagal was a big star. But he was also kind of a jerk. He was known for being too rough with stuntmen, even kicking them between the legs to see if they were wearing protection there or not. One day in 1991, when filming Out for Justice, one of his stuntmen was a 58-year-old pro wrestler and Judo expert Gene LeBell (the man who trained Roddy Piper and starred with Andre in Micki + Maude). Seagal was boasting about his Aikido training, claiming that he was immune to choke holds. LeBell wanted to give the man a chance to prove this, and he was happy to do so. The hold was applied, Steven said “go,” and in seconds he had not only fallen asleep, he had also crapped his pants! This led to the action movie star getting a restraining order on LeBell, on top of learning a tough life lesson. Now Seagal is truly a well trained and gifted fighter, something LeBell continues to affirm today. But you just can’t be a badass and a deuce at the same time. BIG SHOW AND LITTLE JOHN. Ever hear of The Big Show? He is Paul Wight, and stands over 7 feet tall and weighs over 380 lbs (Yes, in real life. In fact, when he was 14 years old he was 6’8”. I know what you’re thinking and, yes, he played basketball.). A little over ten years ago he was in India for a WWE promotional event. Before the event started he went quickly to his room to “take care of business” after a very long flight. There was no way he would be able to use the bathroom in the airplane, something that some of us regular-sized people can barely pull off. And though this one was a much more accomodating size, the toilet was one of those European style models that are built right into the wall, with no support underneath. He was thinking what you and I are thinking right now… but he had to go! Deciding to take the risk he was pleased to discover the wall-mounted john was supporting his frame, which is impressive considering that back then he was well over 400 lbs, at times pushing 500. He was half-way through his mission when he heard what he says sounded like a bomb siren going off. In those rooms in India they had doorbells, something we are not accustomed to. But they also tend to have the volume turned up to a crazy level. DING DONG!! It scared Big Show, which caused him to do what most of us do when startled by a loud noise. His enormous frame leapt up off the toilet and back down on it. Yup, it all came crashing down. He did manage to avoid falling down on broken porcelain and… other dangerous materials… by grabbing a hold of the sink and towel rack, which thankfully and surprisingly held his weight. He made it out alive, and according to him, the mess was cleaned up, and the toilet was replaced and installed, by the time he got back to his room 4 hours later. 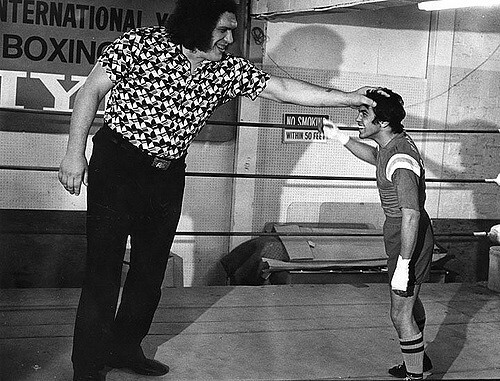 Congratulations Micki + Maude and Andre the Giant. This is your week. Best Actress: Talia Shire as Adrian Balboa in Rocky III. Best Actor: Paul Walker as Brian O’Conner in Fast Five. 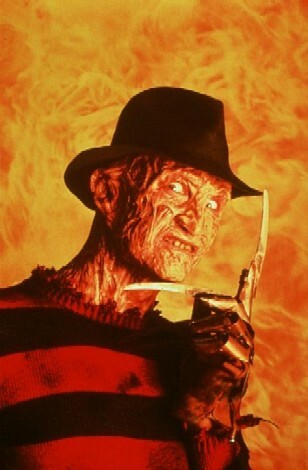 Best Quote: “To all my love slaves out there: Thunderlips is here. In the flesh, baby. The ultimate male versus… the ultimate meatball. 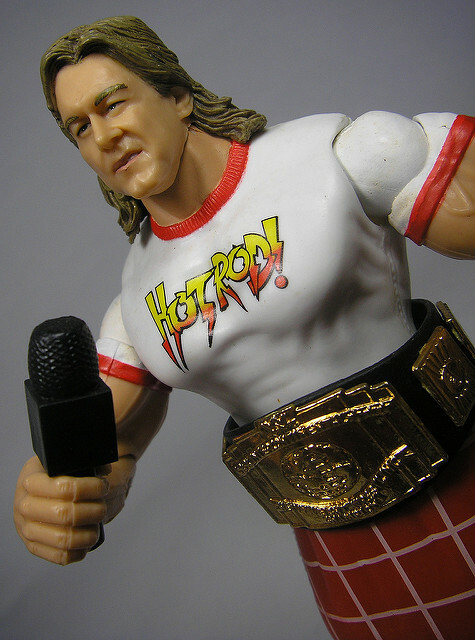 Ha, ha, ha.” — Hulk Hogan as Thunderlips in Rocky III. I do realize that in wrestling, there are many stories that get elaborated on and grow over time. Well, I read a lot of them and have gotten to know the ones that have been inflated, the ones that have been confirmed, etc. The ones above I have confidence in sharing with you as actual events. We did this once before and it was Roddy Piper vs Randy Savage vs Jesse Ventura. 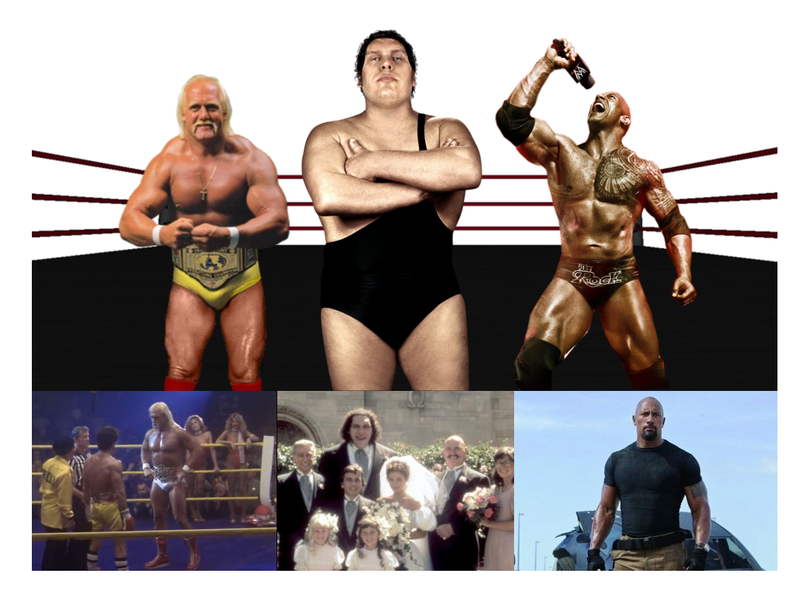 Well, now the match is another triple threat: Hulk Hogan vs Andre the Giant vs The Rock! Which would be your movie of the week? Feel free to vote based on the movie or on the wrestler. When it comes to climate change, it can be difficult to know what’s real and what’s not. Do we trust those who tell us there is a dangerous and imminent problem that could have disastrous affects on our descendants, or do we trust those who warn us of spending unnecessary time and money on something being force-fed to us by alarmists? Whether or not we realize, we all do have an established stance on the subject, and therefore, every one of us fits into one of two categories: 1) those who believe there is a real problem and 2) those who don’t believe there is a real problem. You may believe yourself to be more middle-of-the-road (e.g. You don’t believe all the hype but you also think we should be responsible in taking care of our planet. ), but at the end of the day, either you are concerned about climate change or you are not. Now Run Lola Run can actually help us here. 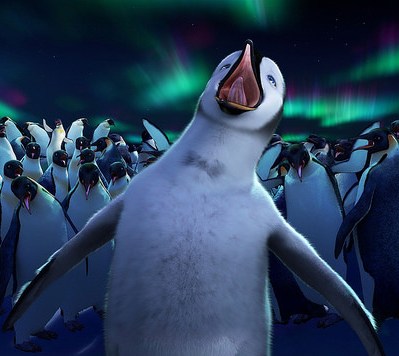 In this film there are several different scenarios given to the audience. It doesn’t say which one is real, we choose. For me, when choosing what to believe in situations like this, I have found “Occam’s Razor” to be a very helpful principle in problem solving. It simply states that the simplest answer is usually the correct one. So, in this case, which scenario below seems more likely to be true? The Industrial Revolution and its continual growth has created pollution that ultimately caused a real change in our climate patterns that, if left unchecked, will result in danger and possible catastrophe to generations to come. Multi-billionaires, whose companies are amoung the worst offenders pay top dollar to convince the masses that there is no problem. They hire people who pose as experts and insist that climate change is a hoax. They consort with powerful friends: politicians. Though evidence proves that pollution is destructive, the discoveries made concerning climate change years ago have since been proven to be a false alarm. A commanding majority of scientists and researchers, however, saw an opportunity to cash in on the fear people have for cataclysmic events. These scientists joined forces with politicians who rely on this mass fear as people will spend big money on government programs and “environment friendly” products. I can more easily believe filthy rich oil tycoons trying to protect their money more than I envision a majority of the science community jumping into a get-rich-quick scheme. The motive is just more believable. The super rich and politicians have gotten along very well throughout history. Time and time again we see them scratching each other’s backs. And though government often sponsors scientific studies, a collusion with scientists to make a snake oil profit, even if it’s a big snake oil profit, just doesn’t sound as probable. More than once I have seen “experts” and “scientists” on TV who were exposed later as not experts at all, but people who were hired for PR work. And each time it they were on the side that claims climate change is a hoax. I have no doubt at all that their counterparts can and do the same, but I haven’t witnessed it yet. I have a hard time believing that this hoax has managed to dupe most of the developed world but didn’t manage to trick the Donald. This, admittedly, is a bit simplistic. I mean, textbooks are written on the subject. But this is my conclusion after running through the scenarios like Lola. And I must admit that after such a short run I’m already out of breath. So… what say you? 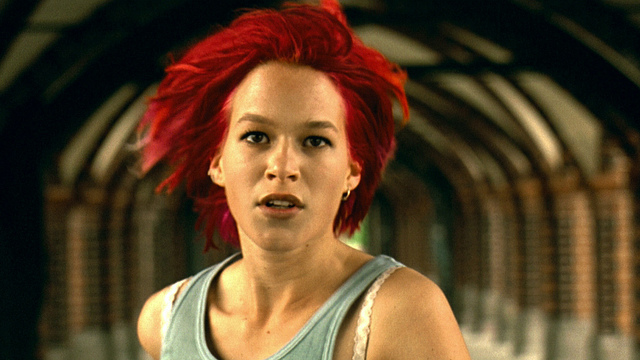 Congratulations Run Lola Run. This is your week. Best Actress: Ivana Baquero as Ofelia in Pan’s Labyrinth. Best Quote: “I want to tell you with my last breath that I have always loved you. I would rather be a ghost, drifting by your side as a condemned soul, than enter heaven without you. 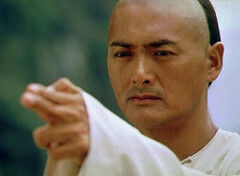 Because of your love, I will never be a lonely spirit.” — Li Mu Bai in Crouching Tiger, Hidden Dragon. If you’ve read this entire post, thank you. I realize that climate change is a bit of a bore these days, and is quite divisive. But I believe it’s important for us to talk about it, whether we like it or not. Honestly, if you haven’t experienced the wonderful world of international movies, now is the time to start. I loved every one of this week’s nominees. I’m not sure which one I’d pick over the others, but it only matters what you would pick. If you haven’t seen them, vote on which plot description would most interest you. What?? You haven’t seen that?! It’s true. The following 45 movies I have yet to see. Which ones would you most recommend to me? 2017: For now it’s Spider-Man: Homecoming, but I plan to change that tomorrow! Congratulations The Three Musketeers. This is your week. Best Actress: Catherine Zeta-Jones as Elena in The Mask of Zorro. Best Actor: Errol Flynn as Robin Hood in The Adventures of Robin Hood. The 2014 movie needs an explanation. You would think that I’d have made a point to watch Guardians of the Galaxy, and really I did. I picked up my ten-year-old son from camp and gave him a surprise: “We’re going to the movies!” He was excited, but as we sat in the theater I could tell he was also tired. Half-way through the movie I looked at Lukey, saw how exhausted and distracted he was and realized he was really only there for me. I decided the right thing to do would be to offer to leave. He took me up on my offer and we left the theater (Which I believe was a first for me.). I’ve been meaning to finish it, but I just haven’t yet. So, suffice to say I haven’t seen the sequel either. We owe a lot to the swashbuckling genre, especially for fans of The Princess Bride (1987), the Pirates of the Carribean franchise, and even Star Wars (1977). Which of the following would you pick to be our movie of the week?